Convenient to the Town Centre of Caerphilly it is within ten minutes’ walk of the Castle, Bus and Rail Stations. Parking is available at the TWYN Car Park. 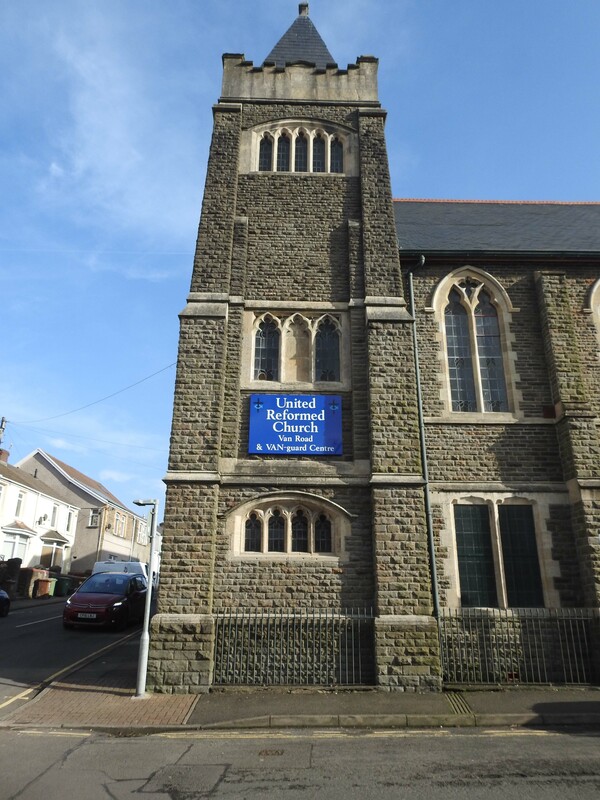 Access to the first floor worship area is by way of the main entrance stone steps in Van Road or from the ground floor entrance in Goodrich Street and lift access is available at the end of the corridor. As a Grade 11 Listed Victorian Church the corridors and doorways on the ground floor make wheelchair use straightforward. 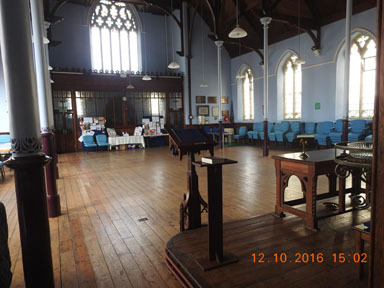 There are two rooms available for hire on the ground floor. 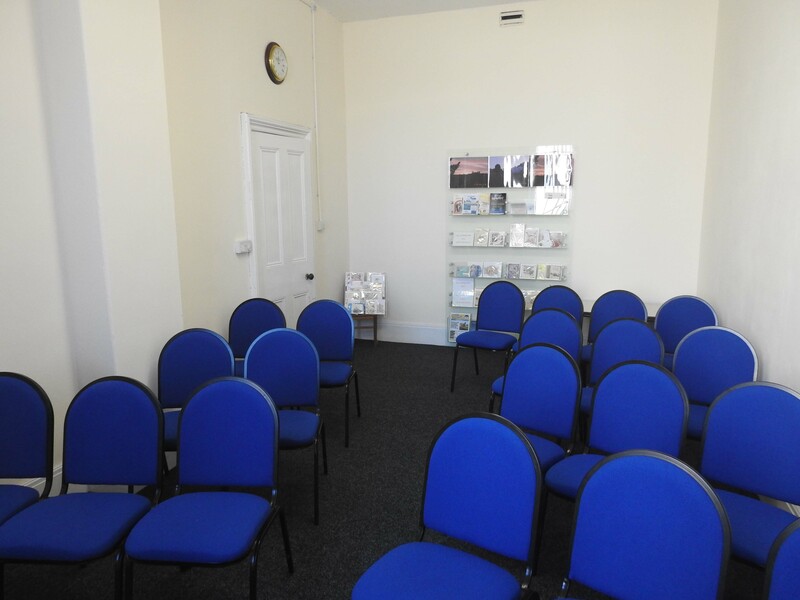 “The Band Room” will cater for a table conference for 12 or for a talk it will seat 20. 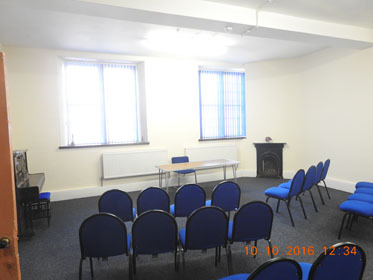 The “Meeting Room”, for a talk, will accommodate 40, a committee meeting of 20 or, for a craft or art session it will take 12. The first floor “Worship Area” will seat 150 people for a concert performance or lecture, 50 people for group activities, or the chairs can be set around the walls and give an open space for activities such as Tai Chi, Pilates or dance classes. In 2016 the VAN-guard Centre facilitated 23 lunchtime and evening concerts. 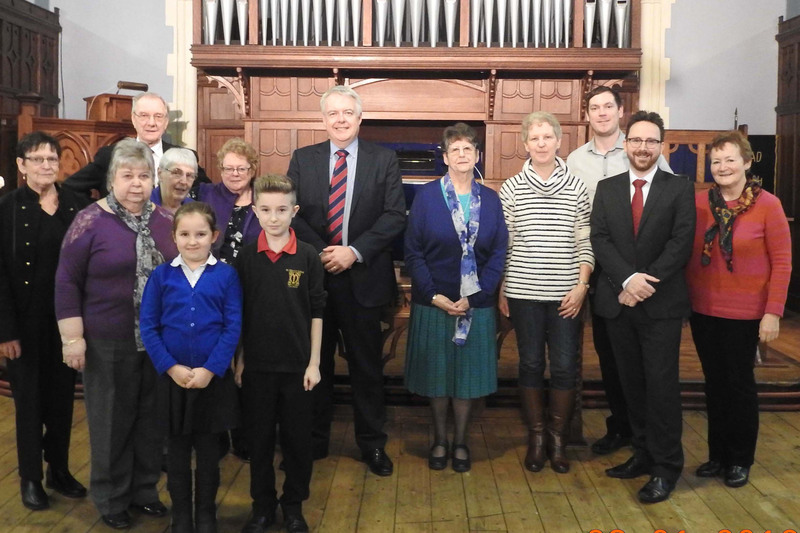 They included lunchtime concerts by students of the Royal Welsh College of Music and Drama which gave them the opportunity of performance experience and gave the Caerphilly residents the chance to access good, varied musical performances at reasonable cost. 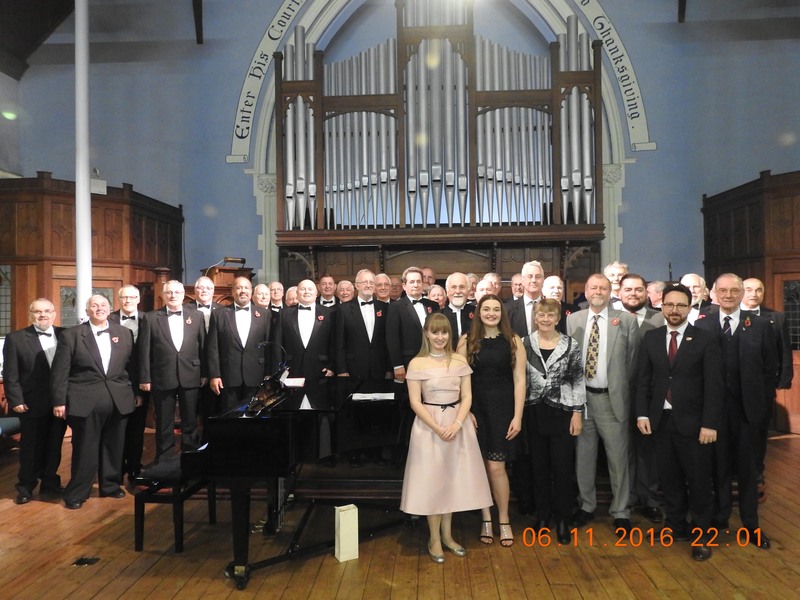 The evening concerts included performances by CANTARE, the ABER VALLEY MALE VOICE CHOIR and the PATRICK SHEEN SINGERS. 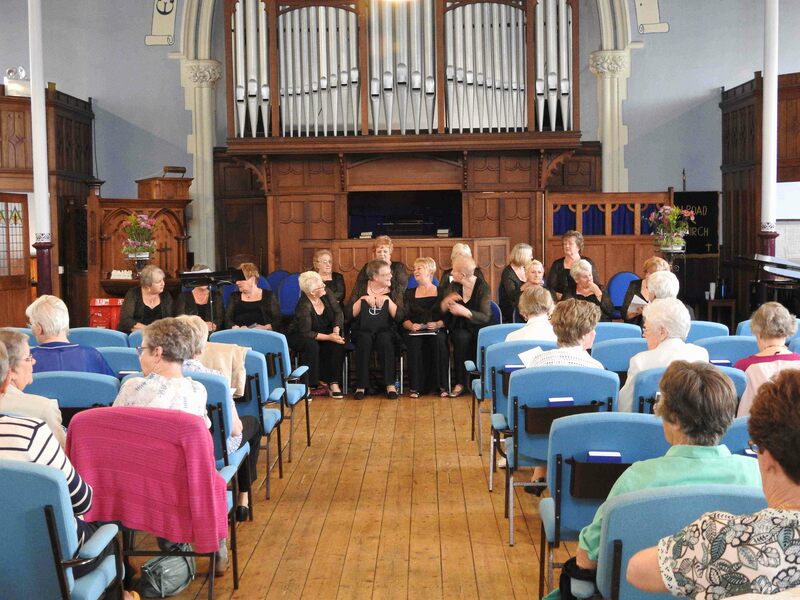 Rehearsals are held in the church by Caerphilly Community Chorus and Only Boys Aloud. 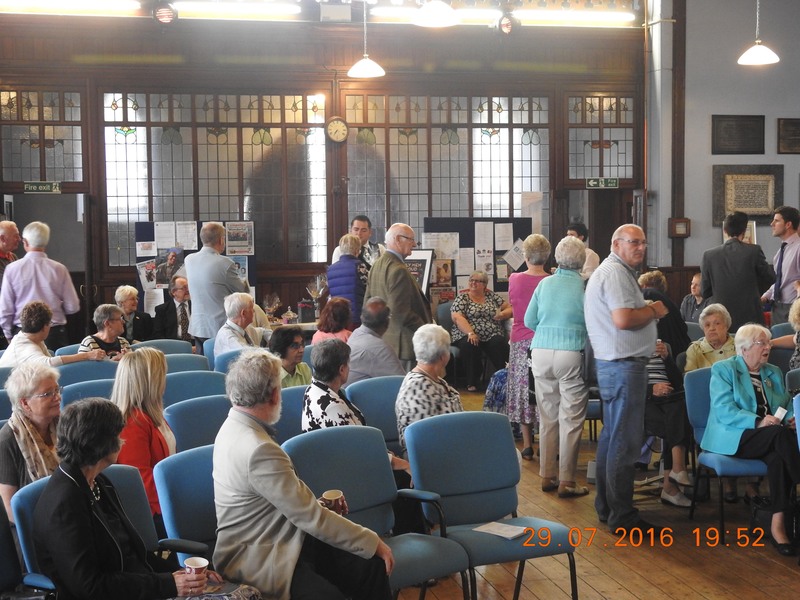 In autumn we host our annual ART and CRAFT and WRITTEN WORD EXHIBITION.